Welcoming the 2018 Special Olympics USA National Games to Seattle! This week, over 4,000 athletes and coaches traveled from all 50 U.S. states and the District of Columbia to compete in events at the 2018 Special Olympics USA National Games, hosted in Seattle, WA. After beginning on July 1st, the USA National Games are now on the fourth day of events. Founded by Eunice Kennedy Shriver in 1968, the first International Special Olympics Summer Games were held in Chicago. The Games hosted about 1,000 athletes in more than 200 events. Now, 50 years later, the Special Olympics boasts over 5.3 million athletes from 170 countries. The Special Olympics exists to provide year-round sports training and competition for children and adults with intellectual disabilities, while also continuing their opportunities to develop physical fitness, gain courage, experience joy, and to share their skills with their families, teammates, and communities. The Special Olympics USA National Games, part of the Special Olympics Movement, hope to use the joy of sports and competition as a catalyst to create social change and to promote a more inclusive community. In May of 2015, the local Special Olympics Washington was awarded the bid to host the 4th quadrennial USA National Games. 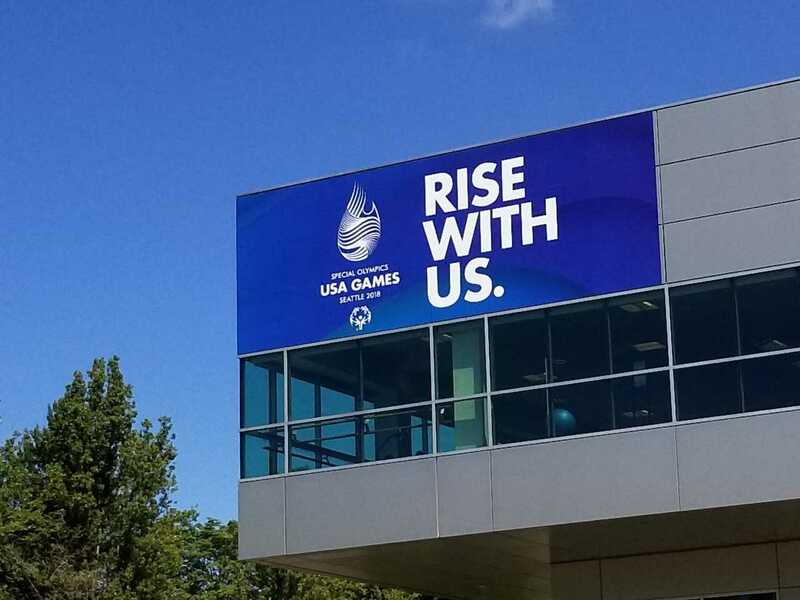 Of the 4,000 athletes competing in this year’s USA National Games, more than 300 of them are represented by Special Olympics Washington – the largest delegation among state programs. 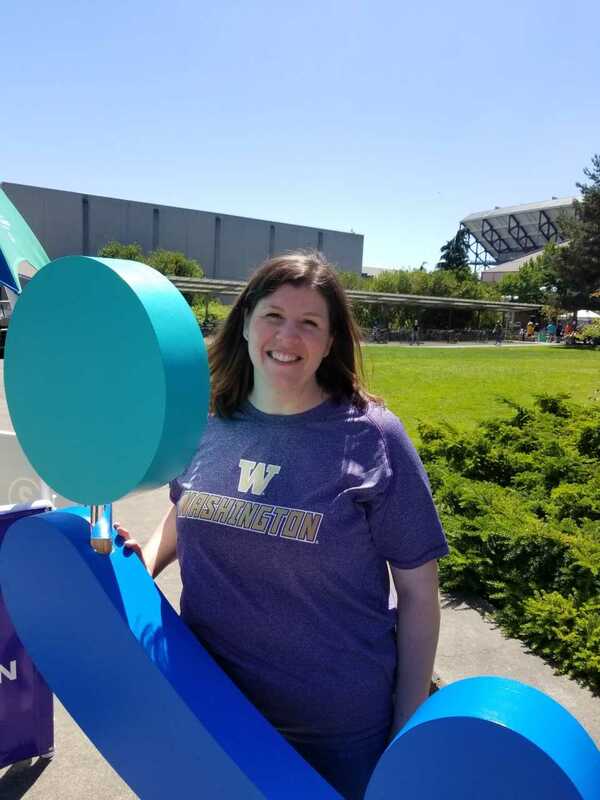 The University of Washington (UW), along with Seattle University and Seattle Pacific University, is proudly hosting events on its campus, including Powerlifting, Track & Field, and Tennis. This year, staff from the UW Center on Human Development and Disability (CHDD), where UW’s Eunice Kennedy Shriver Intellectual and Developmental Disabilities Research Center (IDDRC), University Centers for Excellence in Developmental Disabilities Education, Research, and Service (UCEDD), and Leadership Education in Neurodevelopmental and Related Disabilities (LEND) programs are based, happily came out to support the athletes and teams at several events as volunteers. As “Fans in the Stands” volunteers, CHDD staff, including members of the UW Bernier Lab and UW LEND, cheered on the various competing teams, helping to foster a positive and competitive atmosphere for the events and athletes. Announcers politely asked spectators to refrain from booing and yelling, but heavily encouraged them to scream with excitement for all players. For CHDD staff, volunteering as “Fans in the Stands” was a fun way to support the hardworking athletes during the Special Olympics. Staff, interns, and directors alike all watched excitedly and clapped alongside fans from Minnesota and Florida during the flag football game, and chanted along with the team from Minnesota after their loss, helping to keep spirits high. They also had the opportunity to support the WA women’s basketball team from the local Special Olympics branch and their competitors from the Texas women’s team. Overall, the USA National Games in Seattle are shaping up to be an exciting week of events! 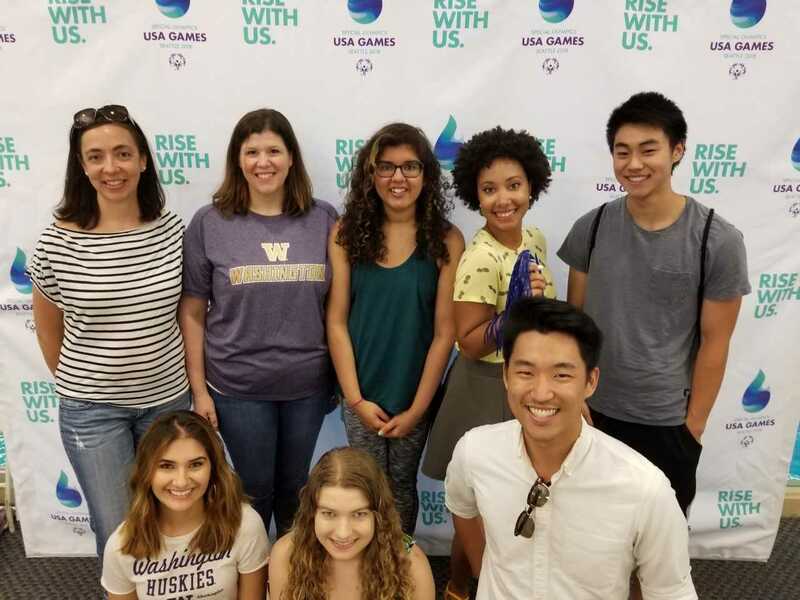 Members of the UW Bernier Lab at CHDD are excited to support the Seattle Games!